**PRICED TO SELL** Thousands below assessed value! Spectacular commercial lot with State Highway 36 visibility. Zoning allows a wide variety of retail/professional office uses. Located only a few miles west of the proposed Foxconn development. Foxconn should be a major stimulus to this suburban area. Parcel includes very good exposure from State Highway 36. This arterial includes an average daily traffic count of 16,200 vehicles, along the site. Parcel is also a good candidate for development with 4-family buildings and/or duplexes (with proper zoning). It is surrounded by commercial development, duplex condos and Case Eagle Park. All necessary offsite improvements are complete. 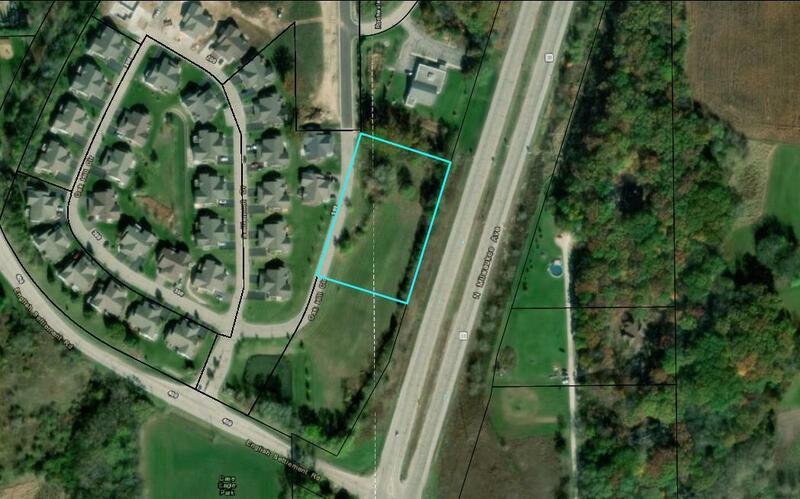 Adjacent 2.37 acre parcel is also available (See MLS #1617605). Listing provided courtesy of Encore Real Estate Brokerage.